While there is a lot about this statement that makes sense to us, the idea that Harden’s “connection with fans is unparalleled and unprecedented,” is not one of them. We weren’t the only ones to scratch our heads at this suggestion. And thanks to a great find by ESPN’s Darren Rovell, we were pointed in the direction of the company — Hookit — that did all the legwork to see if this idea held water. 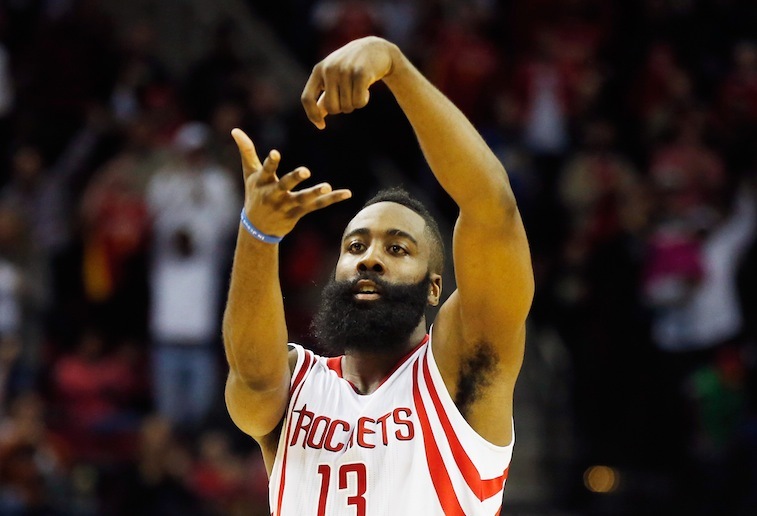 Based on the numbers, it was revealed that Harden had amassed 1,439,428 new followers since the beginning of 2015. That’s an impressive number. However, if we were to look at this figure as as measuring stick for popularity, The Beard wouldn’t even crack a top five list of popular NBA in the league. While this isn’t the only way to measure his value, it’s an interesting start. Who are the players ahead of Harden? Don’t worry, we’re about to tell you. With that, here’s a look at the most popular NBA players on social media. 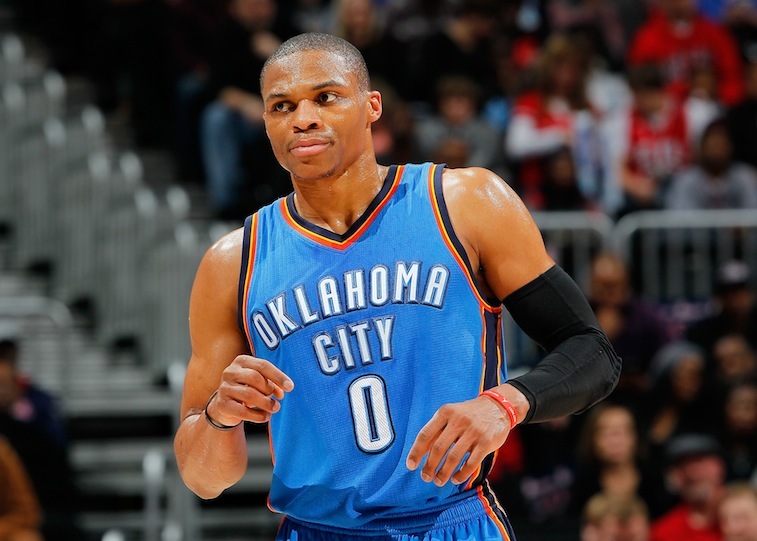 With Kevin Durant sidelined for most of the 2014-15 season due to injury, Russell Westbrook faced the difficult task of carrying the Oklahoma City Thunder all by his lonesome. So he did what any true superstar would do in his situation: He took over. Westbrook became unstoppable. His athleticism was on full display night in and night out, even helping catapult him into the MVP discussion. As he continued to put up one triple-double game after another, clearly the fans began to take serious notice. Therefore, it’s no wonder that, according to Hookit, No. 0 has gained a lot of love on social media, picking up 1,900,786 new followers 2015. Now if he could only learn to follow simple instructions at Team USA practices, perhaps his popularity would rise even higher. Even with all the influx of fresh talent at the point guard position in the last few years, there is still not a floor general in the NBA quite like Chris Paul. 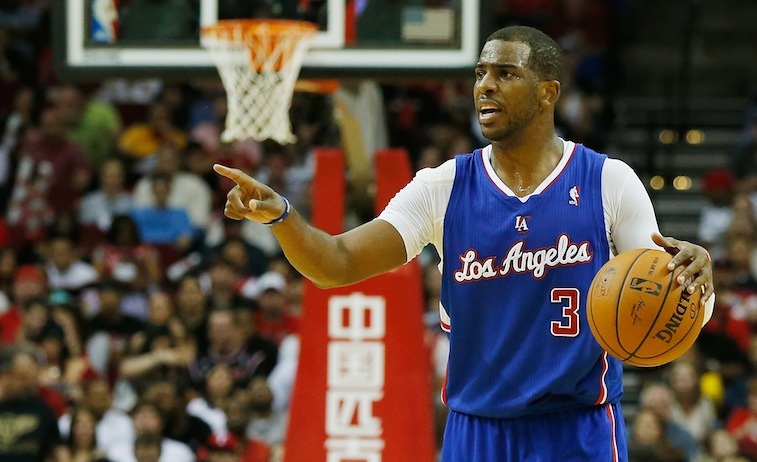 He’s intelligent, competitive, thrives during crunch time.In his 10 pro seasons, CP3 has led the league in assists per game four times and steals per contest six times. He controls the tempo on the offensive end, but has also shown that he’s a real-deal defender. With a total of 1,974,377 new followers on social media since the start of 2015, it’s clear fans recognize Paul’s greatness on the court and wish to stay informed with what he’s doing. Plus his son, Little Chris, is hilarious. We’re sure that helps a little bit. 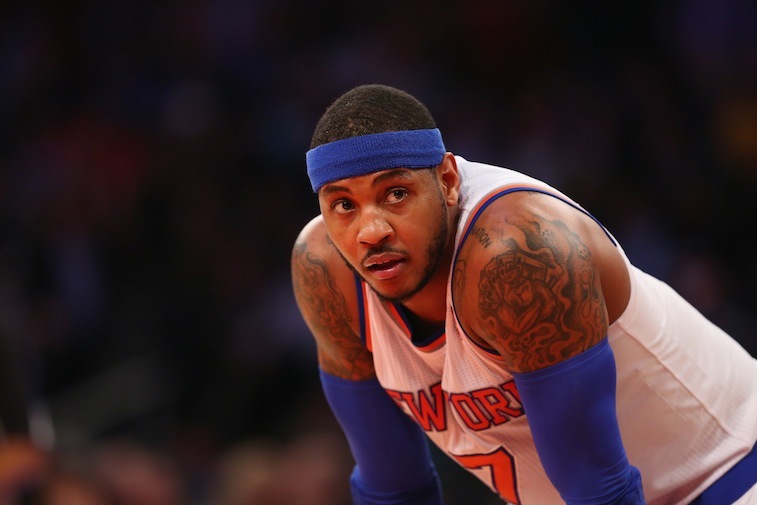 Carmelo Anthony may have only played in 40 games this past season, but he is still easily one of the most popular figures in the NBA. While his individual greatness has never truly translated to team success, he is still among the most prolific scorers the game has ever seen — averaging 25.2 points per game for his career — and people love watching the ball go in the bucket. Melo also benefits from the exposure that comes with playing ball in NYC and being married to someone like LaLa Anthony, who’s also constantly in the spotlight. Based on Hookit’s data, which shows Anthony’s gained 2,118,753 social media followers in 2015, it doesn’t appear the public’s intrigue with him will be going away anytime soon. Best shooter in basketball? Check. Most valuable player? Check. NBA champion? Check. 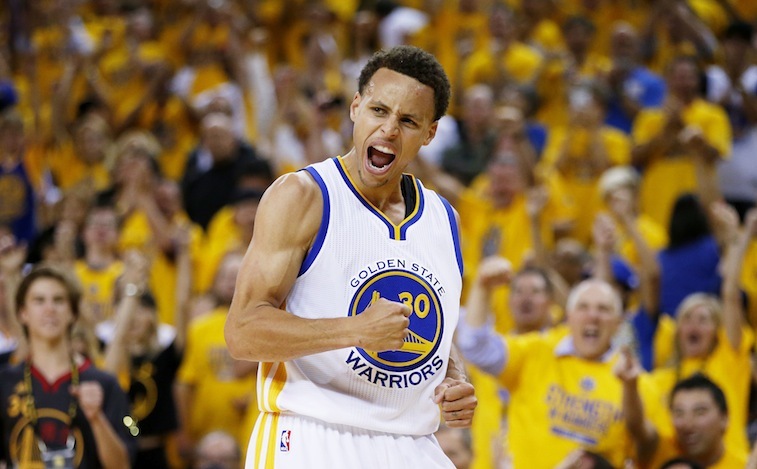 This has been the year of Stephen Curry. Not only is he crazy likable, but he’s also at the forefront of the small-ball revolution that’s slowing taking over the National Basketball Association. According to Hookit, Curry has amassed 6,573,511 new social media followers since the beginning of the new year. With that increase, the Golden State Warrior superstar now has 4,211,864 followers on Instagram, 3,802,939 followers on Facebook, and 2,826,500 followers on Twitter. Not bad at all. And just remember, with every deep three, with every jaw-dropping pass, with every ankle-breaking crossover, with every press conference his daughter, Riley, steals, the legend — and popularity — of Chef Curry will continue to grow. 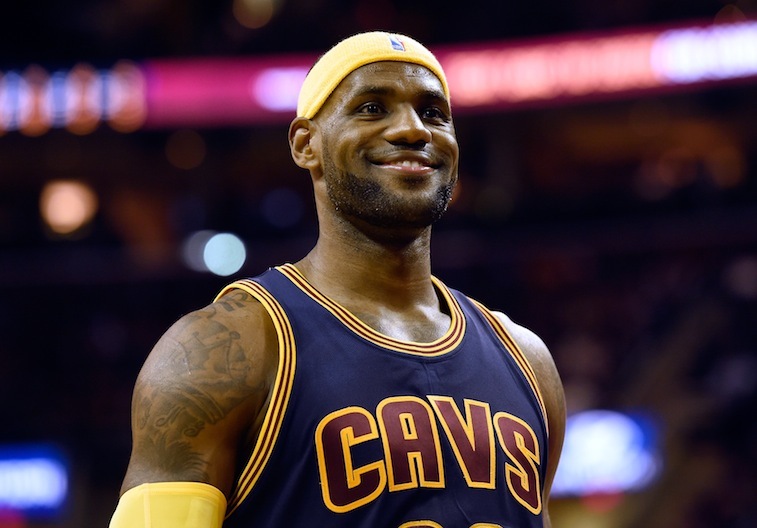 Remember that time when LeBron James was one of the most hated players in the NBA? Yeah, that was hilarious. When it comes to basketball, there is no one better than No. 23 of the Cleveland Cavaliers. When it comes to popularity off of it, there really is no one better than No. 23 of the Cleveland Cavaliers. James has a total of 57,767,568 followers combined on social media. He has 12,103,022 followers on Instagram, 22,605,004 followers on Facebook, and 23,059,542 Twitter followers. And since the beginning of 2015, ‘Bron has gained 9,442,246 followers combined across all three major social media platforms — by far the most among players in the National Basketball Association. When it comes to overall popularity, the King retains his crown. All statistics courtesy of Basketball-Reference.com; All social media figures courtesy of Hookit. For the full list of the top 10 NBA players by new followers in 2015, courtesy of Hookit, click here.